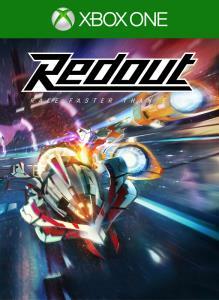 Redout is pure Anti Gravity racing, a tribute to the classic arcade racing monsters. It's designed to be an uncompromising, fast, tough and satisfying driving experience, soaked in that vertigo that stands at the core of the genre. Conquer a Single Player campaign that spans more than 100 events, 11 game modes and 35 racetracks. Unlock 7 racing teams, 4 racing classes, ship upgrades and 12 power-ups. Then move on to Online Multiplayer and prove your reflexes and cold blood against the world, or challenge a friend in Split Screen local multiplayer. The floating system and driving models are based on physics: each turn, slope, hard braking, acceleration, each turn and twist of the track will apply a unique force to your ship. Your opponents will be fast and unforgiving. Ready to challenge the Solar Redout Racing League?